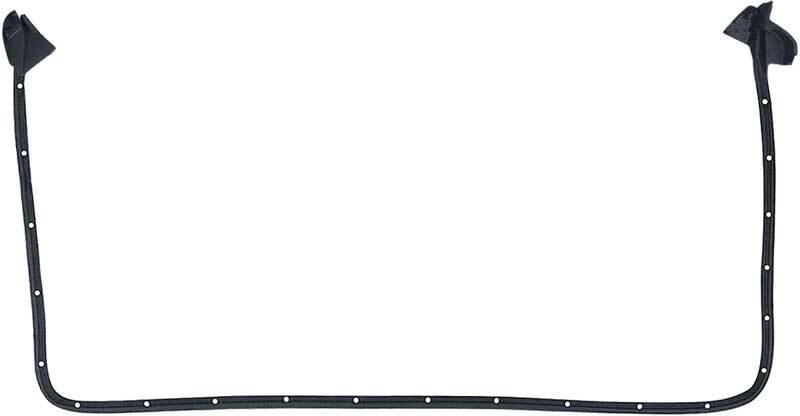 Reproduction door frame weatherstrip for 1968-69 models. 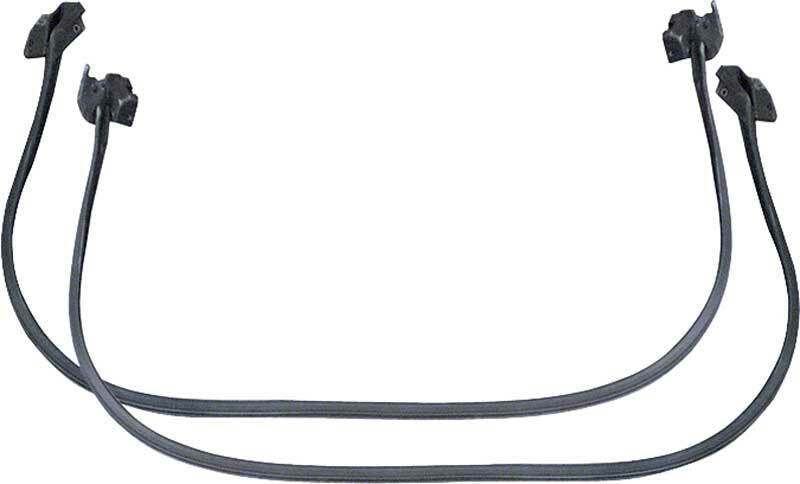 Manufactured by OER® to exact factory specifications in correct OEM style rubber. 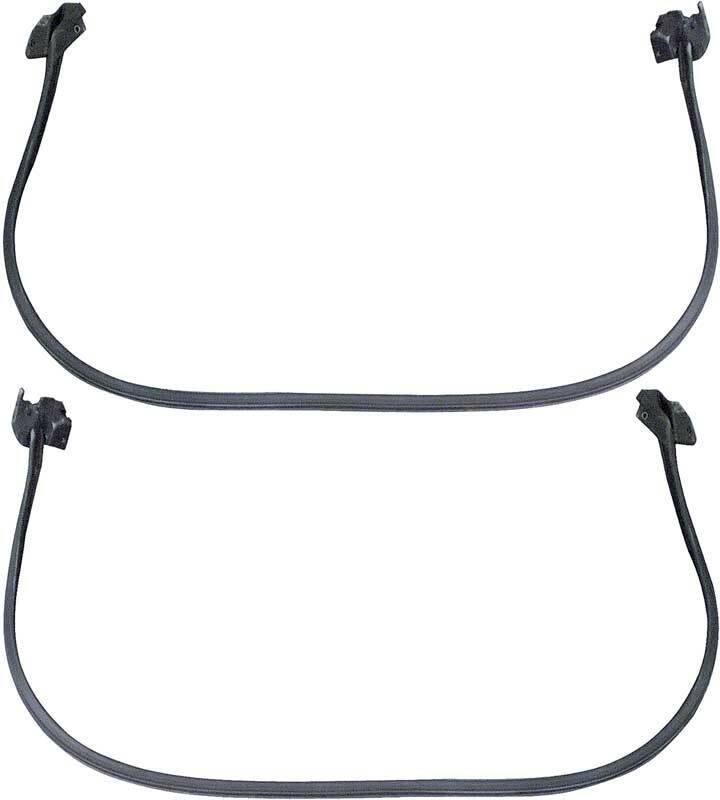 This weatherstrip features correct molded ends and original style plastic clips molded in as original for both easy installation and authenticity. 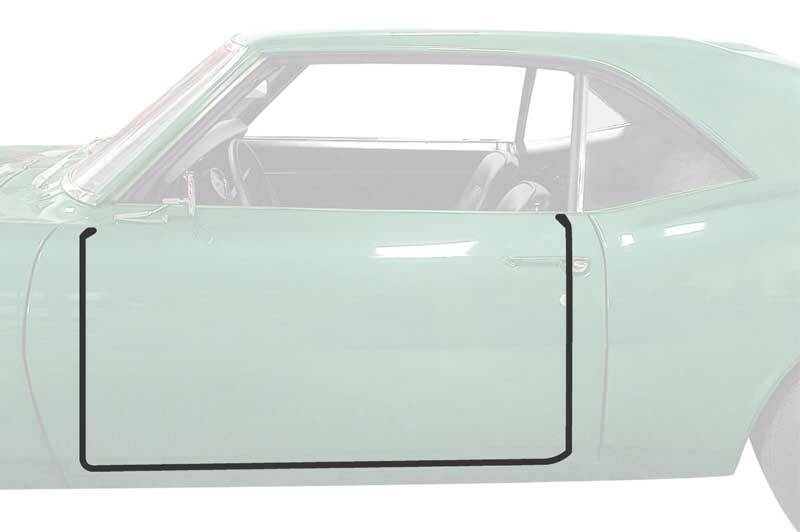 1968-69 Camaro / Firebird Reproduction Rubber Door Frame Weatherstrip is rated 4.5 out of 5 by 2. Rated 4 out of 5 by JPizzit from Could fit better in my opinion I've purchased 3 sets of these trying to get the fit needed as the first set split at the seam on the drivers side door. In my opinion the plastic inserts were way off as far as lining up with the holes in the door. I had to stretch rubber over an inch or more in places to hit the hole. The 3rd set I purchased seemed to fit better and I didn't have to stretch it as much to hit the holes, but it too had issues with the inserts as at least one had already been repaired in the factory and shipped that way. Rated 5 out of 5 by BFlash from Great Replacement item Almost a required replacement item with any re-paint. These fit great and we no issues with installation.